Here is a new slant on knitting a two-color design. I’ve found that by simply adjusting the number of total stitches in a pattern, one’s “pattern stitch” will shift left or right. And it is fun! 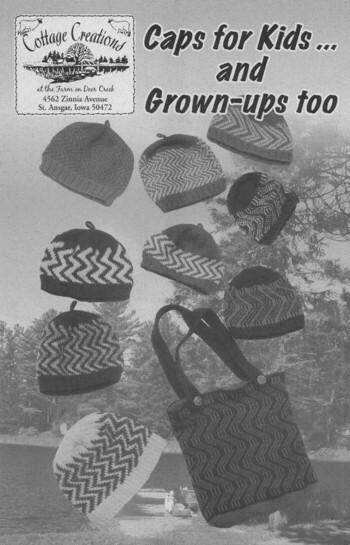 Pattern includes four cap designs, two tote bags, and a pillow. Sizes include Children’s Small to Adult Extra-Large.